A rundown old car in a parking lot and two apartment complexes — one white, one a pale pink — are backdropped by an overcast sky. A rickety-looking telephone pole stands between them. This is the image used as the cover photo for retro-soul country outfit the Delines’ sophomore album, The Imperial, and it evokes the kind of melancholic nostalgia that the band summon here, conjuring images associated with eras passed but engaging in storytelling that’s refreshingly contemporary. The lyrics for this set come from band member Willy Vlautin, former frontman of rock four-piece Richmond Fontaine, and the author of a quintet of novels on the American West (among them Lean on Pete, which was adapted into a film last year). 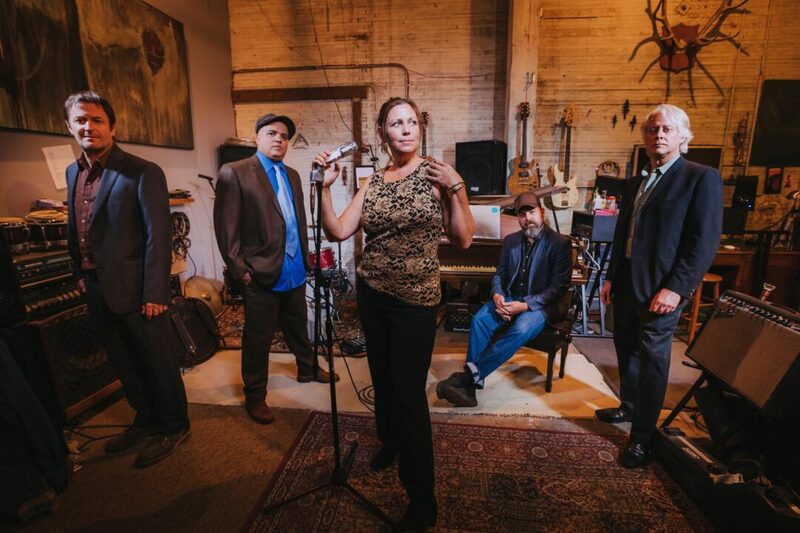 The Imperial‘s songs form a revisionist western in album form, one which touches on liver disease and debts, manual labor and heartbreak — and one that’s mournfully crooned by lead singer Amy Boone, and shaped by a sextet of instrumentalists, who capture the sound of modern Americana. Across the album’s ten tracks, the Delines present sincerely compassionate portraits of flawed characters as viewed through many different perspectives, offering a variety of outlooks on life at the edges of society; the closest point of comparison might be the films of American director Kelly Reichardt. For the album’s two centerpieces, a third-person omniscient narrator tells stories of hardship. On “Eddie and Polly,” Boone sings of a doomed first love, initially taking the listener through the joys of blossoming romance — backed by banjos, guitars, and tambourines — until infidelity and alcoholism creep in, which leads to the aching chorus: “This is how teardrops are made / Can’t you see? / This is how tears become stains.” “Holly the Hustle” could be a companion piece of a sort to Vlautin’s Lean on Pete, following a decade in the life of the titular Holly, who survives tumultuous times in the American West: After being abandoned by her father, Holly finds herself caught-up in a series of abusive relationships, scamming all along the way. It’s a melancholy track, but its soft production belies a declarative resilience, as Holly always finds a way to keep going. Across the album’s ten tracks, the Delines present sincerely compassionate portraits of flawed characters as viewed through many different perspectives, offering a variety of outlooks on life at the edges of society; the closest point of comparison might be the films of American director Kelly Reichardt.